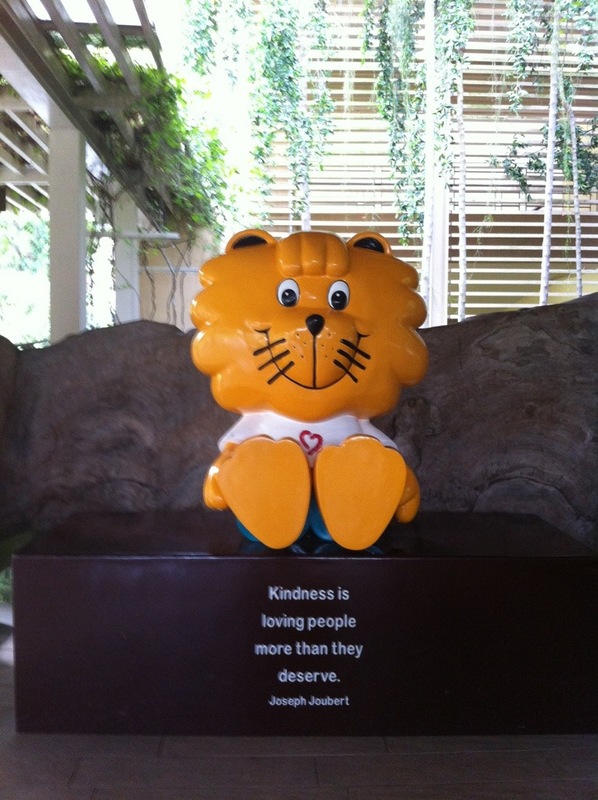 While in Singapore I encountered Singa, the Courtesy Lion. I took this photograph on my latest trip as none of my friends at home believed me. The idea of a slogan driven character created to encourage Courtesy and Kindness (capitals intentional) is something so outside of our normal Western experience (pre-Barney) and yet it seems to sit so well in the Singapore mentality which is so focused on excellence and achievement.